When a miller's youngest son inherits nothing but a cat, he thinks he might as well make himself a hat out of it. What else would it be good for? 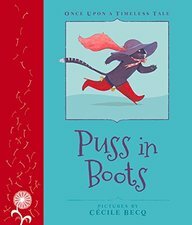 But this is no ordinary cat—and one of the first things she demands is a handsome pair of boots.